The articles and photos on our site offer you a way to get the full Ford fan & enthusiast experience at the same place you get your Ford parts from. This section is meant to provide you with entertainment, as well as ideas for your next project. Customer Cars - This area features cars that belong to your fellow Ford enthusiasts and our loyal customers. Visit this page to see photos of cars using Anderson Ford Motorsport parts & products by model & part type. Tech Articles - Ready to greatly expand your Ford technical knowledge and become a troubleshooting machine? This page is full of the best explanations of the systems that make your car run. Dyno Runs - In the end, it’s all about results, and we at Anderson Ford Motorsports get that -- that’s why we bring you a page full of dynojet results. On this page, you’ll get to view dyno graphs and read about the modifications that yielded those results. No matter what phase your car is in, or what stage you are at with individual installs, you can find the information & inspiration to finish that project here. 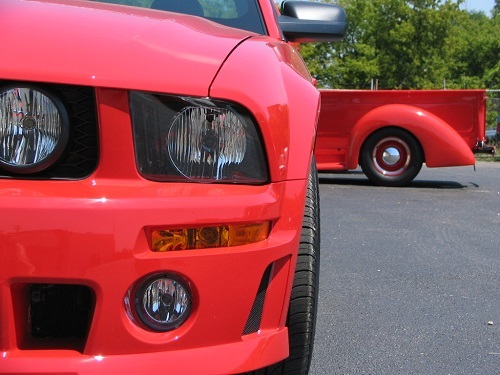 Learn from your fellow Ford owners and from the experts through this section on our site.